Education Loans In India for Students: Planning to go for higher studies? Securing the right Education Loancould be a daunting task. 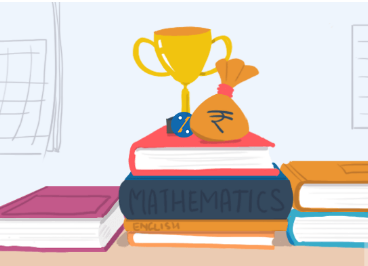 Here are 4 popular Education Loan schemes in India to help you pick one that fits your needs. Loans under the SBI Student Loan Scheme are available for all job-oriented professional, technical graduation degree courses, including diplomas, graduation and post-graduation courses. Under this scheme, you can get a loan up to Rs. 10 lakhs for higher studies in India, and 20 lakhs to study overseas. The SBI student loan comes with no processing fee and offers an interest rate of between 8.30% – 10.70%. The repayment of the loan commences one year after completion of the course or 6 months after securing a job. The scheme covers expenses such as the cost of a two-wheeler up to Rs. 50,000, travel expenses, fees payable to the school/college/hostel, purchase of books, etc. The scheme offered by the United Bank of India is for meritorious students seeking higher studies in India and abroad. The loan is applicable for all post-graduation and professional courses like engineering, medical, law, etc. Courses offered in India by reputed foreign universities and evening courses of approved institutes are also covered under the scheme. Under this scheme, you can get a maximum loan of Rs. 10 lakhs for studies in India and Rs. 20 lakhs for studying overseas. For loans up to Rs. 7.5 lakhs – not exceeding 10 years. For loans above Rs. 7.5 lakhs – not exceeding 15 years. The scheme offers 0.50% concession from the card rate to all female students. The scheme aims to provide financial assistance to students who want to pursue professional or technical education in India or abroad. You can avail a minimum loan of Rs. 50,000 and maximum of up to Rs. 75 lakhs for studies in India and abroad. The scheme also offers zero processing, pre-payment and pre-closure charges, which makes it an attractive option. HDFC Bank offers an Education Loan of up to Rs. 10 lakhs for studies in India and Rs. 20 lakhs for studying overseas. The loan is offered to all Indian citizens aged between 16-35 years. As a loan applicant, you don’t need to provide any collateral for loans up to Rs. 7.5 lakhs and for loans greater than Rs. 7.5 lakhs, the bank requires tangible collateral like a house, car, land, etc. Besides offering quick disbursal and easy repayment, it also gives you the option to secure your loan by opting for insurance protection through the Credit Protect scheme from HDFC Life. If you are tired of visiting every bank’s website to find and apply for the best Education Loan, then Pradhan Mantri Vidya Lakshmi Karyakram is just what you need! It is an Education Loan portal launched by the Government of India where students can apply for a loan to multiple banks on a single platform. All you require is to register on the website, fill out a simple form and apply. That’s not all! The website helps you track the status of your loan application, provide feedback directly to banks in case of any complaints, etc. HDFC Credila offers customised solutions and offers different interest rates depending on the institute, co-borrower details, collateral security offered and the academic background of the student. It offers loan both for studies in India and abroad. There is no upper limit on the loan amount being offered by Credila and it covers the entire tuition fee as determined by the college/university. The scheme also covers up to 100 percent of other expenses including living and hostel expenses, travelling expenses, examination fees, travel fare, etc. Related Posts of "Popular Education Loans In India for Students"